Here is another great Reference book from Progressive Publishing of Poland. 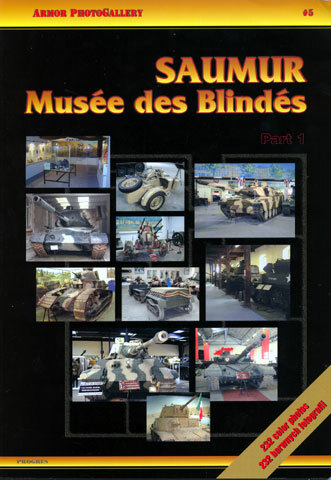 "Armor Photogallery #5, Saumur Musee des Blindes Part 1 German Equipment" is a soft cover volume with 68 pages in full colour. As the name implies, it focuses on German armour at the famous Saumur Museum in France. Text is in both English and Polish, supplemented by 232 high quality colour photos. All items are covered with some excellent photograph, many showing close-up details for the modeller. What I found most valuable is that manyof the vehciles are still in their original paint schemes, not having been resprayed since the end of the war. The other vehicles have been mostly sympathetically restored. Overall, I consider this is a vry good, broad reference source. I look forward to future editions from Progress.